The NASA-sponsored Classroom of the Future partners with NASA TV in a number of ways. We create the schedule of education programming televised. We complete viewership surveys to see what people like and don't like about NASA TV. We provide relief for the NASA website by handling some of its traffic tuned in online to NASA TV during space shuttle missions. And we stream NASA TV on our own website. 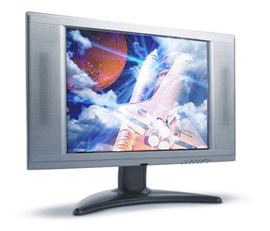 NASA TV is a service offered by the Center for Educational Technologies.